Inspired by a true story, artfully told by the author of Searching for Bobby Fischer A Bahamian island becomes a battleground for a savage private war. Charismatic expat Bobby Little built his own funky version of paradise on the remote island of Rum Cay, a place where ambitious sport fishermen docked their yachts for fine French cuisine and crowded the bar to boast of big blue marlin catches while Bobby refilled their cognac on the house. Larger than life, Bobby was really the main attraction: a visionary entrepreneur, an expert archer, reef surfer, bush pilot, master chef, seductive conversationalist. But after tragedy shatters the tranquility of Bobby’s marina, tourists stop visiting and simmering jealousies flare among island residents. And when a cruel, different kind of self-made entrepreneur challenges Bobby for control of the docks, all hell breaks loose. As the cobalt blue Bahamian waters run red with blood, the man who made Rum Cay his home will be lucky if he gets off the island alive . . . When the Ebb Tide cruises four hundred miles southeast from Fort Lauderdale to Rum Cay, its captain finds the Bahamian island paradise he so fondly remembers drastically altered. Shoal covers the marina entrance, the beaches are deserted, and onshore there is a small cemetery with headstones overturned and bones sticking up through the sand. What happened to Bobby’s paradise? 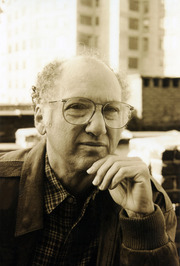 About the author: Fred Waitzkin was born in Cambridge, Massachusetts, in 1943. When he was a teenager he wavered between wanting to spend his life as a fisherman, Afro Cuban drummer or novelist. He went to Kenyon College and did graduate study at New York University. His work has appeared in Esquire, New York magazine, the New York Times Sunday Magazine, the New York Times Book Review, Outside, Sports Illustrated, Forbes, the Huffington Post, and the Daily Beast, among other publications. His memoir, Searching for Bobby Fischer, was made into a major motion picture released in 1993. His other books are Mortal Games, The Last Marlin, and The Dream Merchant. Recently, he has completed an original screenplay, The Rave. Waitzkin lives in Manhattan with his wife, Bonnie, and has two children, Josh and Katya, and two grandsons, Jack and Charlie. He spends as much time as possible on the bridge of his old boat, The Ebb Tide, trolling baits off distant islands with his family. 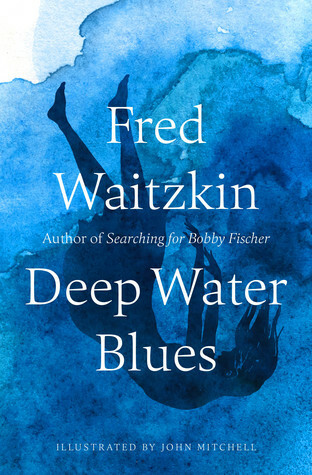 His novel, Deep Water Blues, will be published in spring 2019.